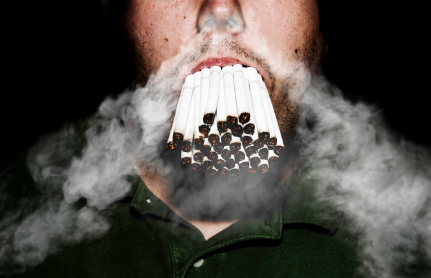 Can You Stop Smoking Cold Turkey? Quitting smoking using the cold turkey method is the first choice of the majority of smokers who want to quit. Which smoker hasn’t tried to go cold turkey at least once in their smoking life? Lots of the ex-smokers I know, including me, tried this method day after day for ages without success. Going cold turkey means going from 20 or 40 a day to nil immediately; it means you give up completely and rely on will power to fight your nicotine addiction. While going cold turkey is the most popular method it is probably the hardest and most uncomfortable method of stopping smoking you can use. Stopping this way usually involves decided on a particular day to stop and on that day, removing or destroying all cigarettes and smoking equipment and gritting the teeth against the cravings and withdrawal symptoms. Craving and withdrawal symptoms can include irritability, tiredness, headache, coughing, sore throat, sleeplessness, sweating, lack of concentration, depression, increased appetite, and of course cravings for tobacco. The reason that quitting smoking using the cold turkey method is usually the hardest and most difficult method of stopping smoking is because most people still need to function and concentrate on their jobs. When they are suffering the normal withdrawal symptoms associated with cold turkey that can be difficult and is why the majority give in and begin smoking again. It has been noted that after a year only about 4 to 5% of smokers who quit smoking without help succeed. Nevertheless, most people do try initially to stop smoking alone and while a small amount succeeds the majority fail. The main obstacle to stopping smoking using the cold turkey method is that willpower alone is the least decisive factor in stopping smoking for good.Those who succeeded in stopping permanently were found to have made behavioural changes at a deeper level. We’ve all met the people who, after giving up smoking using willpower alone are, according to them, still desperate for a cigarette after 10, 20 or even 30 years. These people often go back to smoking even after long absences simply because they did not change the way they felt about smoking on a deep subconscious level, they just told themselves not to do it. There’s a difference making surface changes using the force of will power and altering the patterns deep down. Hypnosis makes the alterations at a deep level where all habits are held and all changes are instigated. A skilled hypnotic operator can reach the depths of mind needed for change easily and safely. It is possible to get good results for hypnosis CD’s and especially is you are mentally prepared prior to listening.